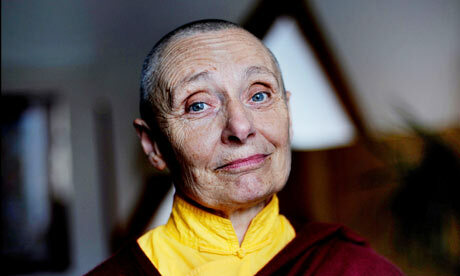 One of the first Western-born women to be ordained as a novice in the Tibetan Buddhist tradition, in 1964, Jetsunma Tenzin Palmo received full bhikshuni ordination in Hong Kong in 1973. She is known especially for having spent 12 years practicing in a Himalayan cave and campaigning on behalf of female practitioners. Her life has been documented in Vicki Mackenzie’s biography, Cave in the Snow, while her own books include Reflections on a Mountain Lake and Into the Heart of Life. In this conversation during her October 2015 visit to Hong Kong, we discussed her recent projects and developments for women in Buddhism.